​Trumpf’s forthcoming Open House, to be held from Tuesday 4 to Thursday 6 June, will include latest generation machines, lasers and software, plus present a forum for manufacturers to see how they can benefit from Industry 4.0 and explore the potential of networked production using innovative Trumpf TruConnect solutions that allow step-by-step integration. The company will bring this Industry 4.0 concept to life by showing an autonomous laser cutting demonstration featuring Active Speed Control on the new TruLaser 5030 fiber, 10 kW laser cutting machine. This new technology monitors the kerf through the nozzle, oversees the cutting process and independently regulates feed rate. The focus is on maximising both speed and safety, allowing productivity to be taken to the next level. 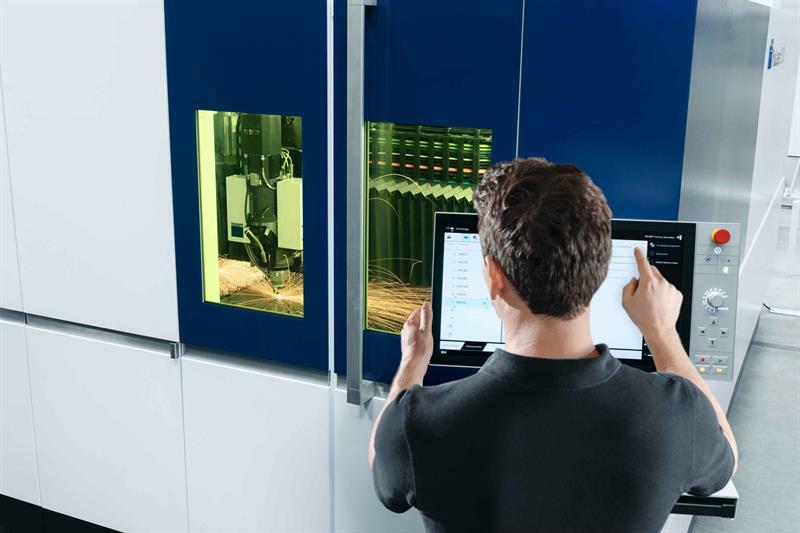 In addition, attendees will learn how Trumpf Smart Services, such as Easy Order, Service App and Remote Service, can simplify daily work; they will also be able explore the advantages of the MyTrumpf customer portal.